Oakley are one of the biggest names in action sports. Renowned for making some of the best sunglasses and ski / snowboard goggles in the world which are worn by snowsports’ elite everyday, Oakley also make a super high quality range of outerwear and streetwear, which always live up to the levels of quality associated with their award winning eyewear. Oakley Snow Goggles are worn by snowsports’ elite including Shaun White, Eero Ettala and Torstein Horgmo because they know Oakley goggles take their famous airflow, anti-fog and lens design technologies and juice them up with 100% UV filtering, unrivaled impact protection, and a big scoop of Oakley attitude. Top models include Oakley A Frame, O Frame, L Frame and E Frame as well as Oakley Crowbar and Wisdom snow goggles. Oakley Sunglasses start with sculptural physics and Oakley's unique three-point fit. Peer through Oakley sunglasses and see the vast array of performance treatments and lens tints that take the elements out of play. And rest assured: industry-best protection from the sun or flying objects. Get a clear view with High Definition Optics® in Oakley Men’s Sunglasses — wherever the world takes you. Lite version of the original Frogskins sunglasses from Oakley with semi-rimless frames. 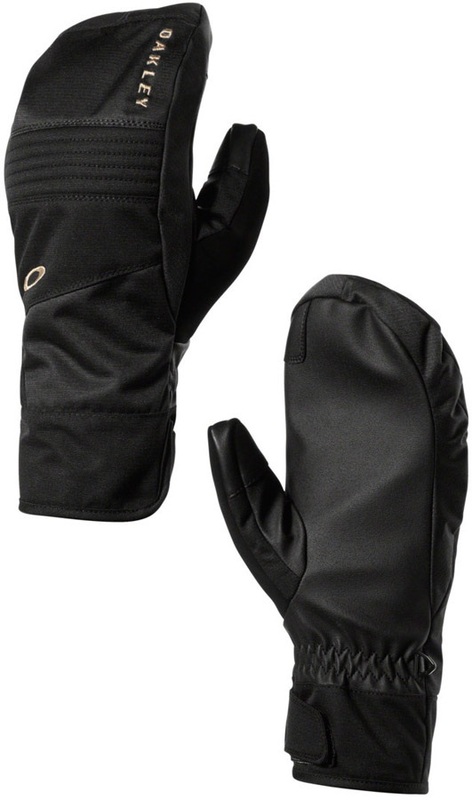 Insulated and durable mitts that make comfort a priority. The ultimate protection in cold and windy conditions. Clear replacement lens for Oakley Airbrake XL goggles. Designed in conjunction with pro snowboarder Shaun White, the Holbrook has a timeless design fused with modern Oakley technology. Prizm Jade Iridium replacement lens for Oakley Wind Jacket 2.0 goggles. Insulated gloves that make comfort a priority. Get active with this lightweight, comfortable tank top from Oakley! Clear replacement lens for Oakley O2 XL goggles. The Oakley Sliver sunglasses combine a timeless design with lightweight technology. Prizm Torch Iridium replacement lens for Oakley Wind Jacket 2.0 goggles. Prizm Hi Pink Iridium replacement lens for Oakley A-Frame 2.0 goggles. Prizm Sapphire Iridium replacement lens for Oakley Canopy goggles. Stay warm and dry with the Oakley women's Agility Crew pullover!